As we age, our diets change and our bodies become less efficient at absorbing key nutrients. Here are the top ten nutrients you may be missing out on. Many Americans are not getting enough of the key nutrients they need. While there are supplements out there, it is not the best way to add the nutrients to your diets. 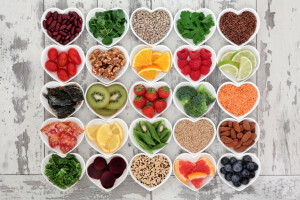 Eating healthy foods that have not been processed, or have gone through minimal processing will ensure that you are getting enough of these 10 key nutrients. As we age, calcium’s most important role is building and maintaining strong bones. But, surveys show that the older we get the less calcium we consume. If you do not take in enough calcium, your body will leach it out of your bones, increasing your risk of brittle bones and fractures. Calcium rich foods include, dairy products and leafy greens like broccoli and kale. Try to get at least 3 servings a day to ensure that you are getting enough calcium in your diet. Curcumin has been used as a treatment for arthritis, heartburn, stomach pain, diarrhea, intestinal gas, bloating, loss of appetite, jaundice, liver problems, gallbladder disorders, headaches, bronchitis, colds, infections, depression, disease, pain, teeth whitening, inflammatory diseases, and many other conditions. It has also been studied extensively for its anti-cancer benefits, and in some lab tests has even been shown to shutdown melanoma cells. There are so many ways to include turmeric in your diet; try adding it to anything you would put pepper on, blend some into a smoothie, brush your teeth with it, or make a golden milk. Fiber is an important factor in digestive health and preventing heart disease. Including foods like; whole grains, beans, nuts, fruits, and vegetables will ensure you get the recommended amount of fiber in your diet. Folate or folic acid is an essential B vitamin. Too little of it puts you at risk for anemia. Try to include lots of fruits and vegetables in your diet to increase the amount of folic acid in your diet. Over 300 physiological processes rely on magnesium. It also helps make sure your immune system is healthy, your heart is healthy, and your bones are stronger. Often magnesium is lost in processing so it is best to eat foods such as fruits, vegetables, nuts, beans, seeds, and whole grains in their whole form. Omega-3’s are unsaturated fats. They provide a number of benefits including reducing symptoms of rheumatoid arthritis, slowing the progression of age-related macular degeneration, reducing the risk of Alzheimer’s disease, and keeping us mentally sharp as we age. Omega-3 fatty acids are found in abundance in fish, so it is recommended that you get at least two servings of fish a week. You can also find omega-3’s in canola oil, flax seed, soybeans, and walnuts. Potassium is essential for cell function, keeping bones strong, reducing high blood pressure, and lowering your risk of kidney stones. Fruits and vegetables such as bananas, plums, prunes, and potatoes (with the skins) are a great source of potassium. Try to make sure that every meal includes fresh fruits and vegetables at every meal. Vitamin B12 is important for creating red blood cells and DNA. 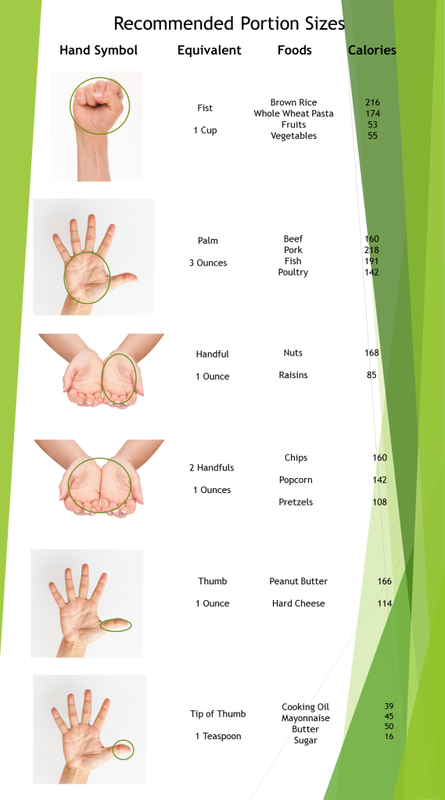 It also helps to maintain healthy nerve function. As we age our bodies become less able to absorb vitamin B12. So be sure to ensure you include foods like fish, poultry, meat, eggs, and dairy products to make sure you are getting the highest amount of vitamin B12 in your diet. Vitamin D helps the body absorb calcium, which helps maintain bone density and prevent osteoporosis. It also helps protect against many diseases including; autoimmune diseases, cancer, multiple sclerosis, and rheumatoid arthritis. Vitamin D is mainly produced by the skin when exposed to sunlight. If you want to supplement vitamin D you should consider eating more salmon, tuna, and eggs. There are many foods that are fortified with vitamin D, and supplements are available as well. Water is crucial to several functions in our body including; cell life, chemical and metabolic reactions, transportation of nutrients, body temperature regulation, and elimination of waste. The medications you take and your age can affect how thirsty you are. It is essential that you drink 3 to 5 large glasses of water a day. One easy way to tell if you are drinking enough water is the color of your urine. It should be a pale yellow. If it is bright or dark yellow, you need to drink more water. If you are considering adding supplements, make sure you discuss it with your doctor first. Just as getting too little of the nutrients is a problem, so is getting too much. Together, you should be able to come up with a plan to ensure you are getting the right amount of these key nutrients through diet changes, and/or supplements. Diabetes is an epidemic in the United States, understanding exactly what it is will help prevent you from developing it or lessen any complications. When your body digests food it breaks it down into usable components that travel through your blood. One of those components is glucose. Glucose is a form of sugar that your body uses as fuel. In order for the glucose to get into your cells and provide them with energy it needs to be escorted by insulin. A normal pancreas makes the correct amount of insulin when your blood sugar rises. With diabetes, your body either loses the ability to make enough insulin, or it is no longer able to utilize the insulin that you do make. Since the glucose in you blood no longer has the insulin it needs to reach the cells it remains in the blood stream. This is a condition known as hyperglycemia, or high blood glucose. When there is too much glucose in your blood, your body will try to dilute it. It does this by drawing any fluid it can into the bloodstream. This will often leave you feeling dehydrated. With nowhere for the sugar to go, the kidneys start to work overtime to remove the excess glucose. This will cause you to urinate more frequently. When you have excess sugar in your urine this is known as, diabetes mellitus. Diabetes left untreated or uncontrolled can lead to serious complications. Many of the complications are related to the circulatory system. The excess glucose makes the blood heavier, causing damage to the blood vessels over time. 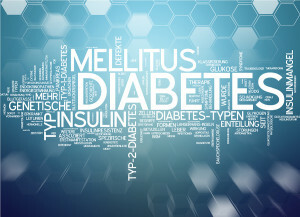 Some common complications related to diabetes include; heart disease, high blood pressure, strokes, blindness, kidney disease, nerve damage, and damage to the blood vessels which can lead to limb amputation. Type 1 diabetes is typically diagnosed in juveniles and young adults. With type 1 diabetes the body does not produce insulin. With insulin therapy people with type 1 diabetes can live long and healthy lives. Type 2 diabetes is the most common form of diabetes. With type 2 diabetes the body is either not able to make enough insulin or it is not able to use it properly. There are a number of causes for type 2 diabetes including; genetics, age, ethnicity, smoking, extra weight, metabolic syndrome, too much glucose, cells that cannot communicate properly, and broken beta cells. 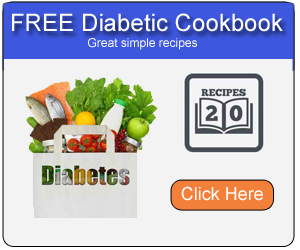 It is possible to avoid or control type 2 diabetes. Losing weight, exercise, a proper diet, and quitting smoking can drastically reduce the likelihood you will develop diabetes. Some signs of type 2 diabetes are; being constantly thirsty, frequent urination, blurry vision, change in mood, tiredness, and wounds that will not heal. If you have been diagnosed with prediabetes you can drastically reduce the risk of developing diabetes through weight loss, exercise, and a proper diet. Most serious complications from type 2 diabetes can be avoided. In order to do so, you must make a commitment to eating well, exercising, maintaining a healthy weight, and taking your medications as prescribed.